So after I’d talked about some great grilling ideas and entertaining suggestions, the subject turned to beverages. 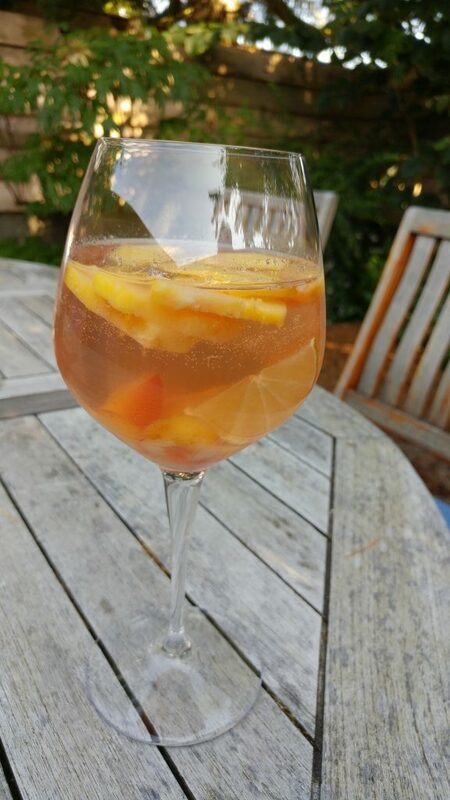 And I piped up about my love of rosé sangria, about to rattle off description of the Watermelon-Rosé Sangria that’s in my new book, Gourmet Game Night , when I remembered that I’d also developed a rosé sangria recipe for my Stone Fruit cookbook that came out a few years ago. Kind of obsessed with the subject, you can see. You introduced me to Chinook rose’ quite some time ago. Thanks for the inspiration to lay in a few bottles and play. Cheers.